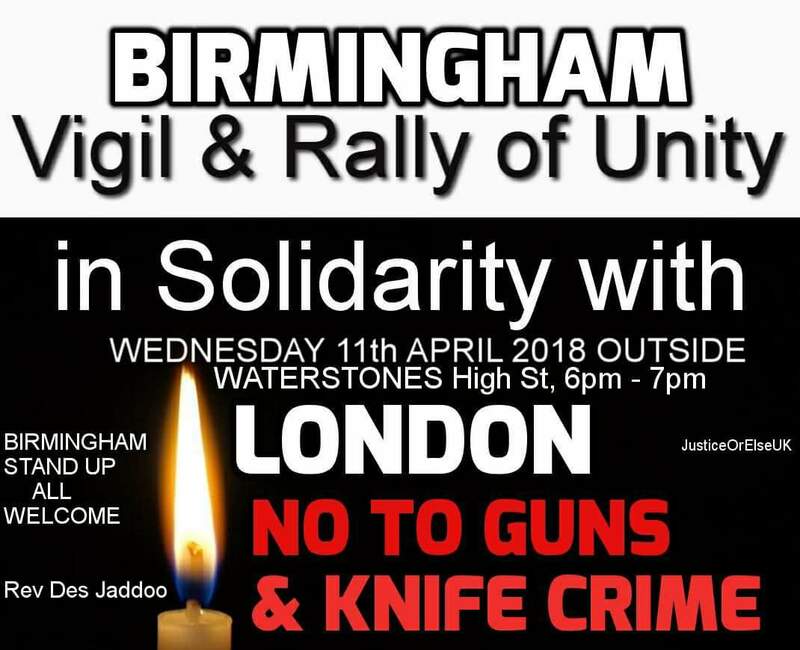 Vigil and Rally of Unity in Solidarity with London against Gun and Knife Crime. which has been plaguing our Cities for long enough. No to Guns & Knives YES2LIFE is a simple and constant message we should be focussing on.